This is one of those books that would be brought out if the need came about. The book is about a little boys' parents that are getting a divorce. The little boy talks about his father's new house, and his roommate. 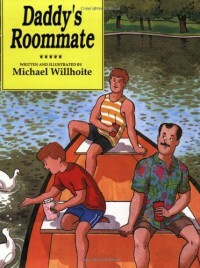 It discusses how to little boy accepts his father's roommate. I would use this book if the need came about.